OUT NOW! 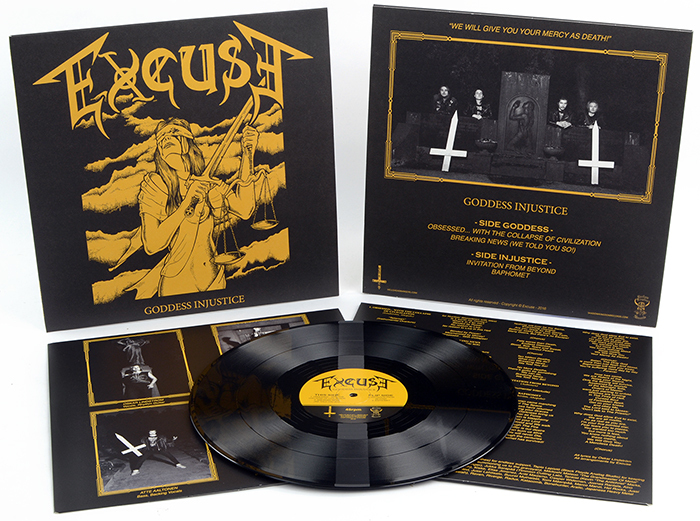 All copies pressed on traditional black vinyl. 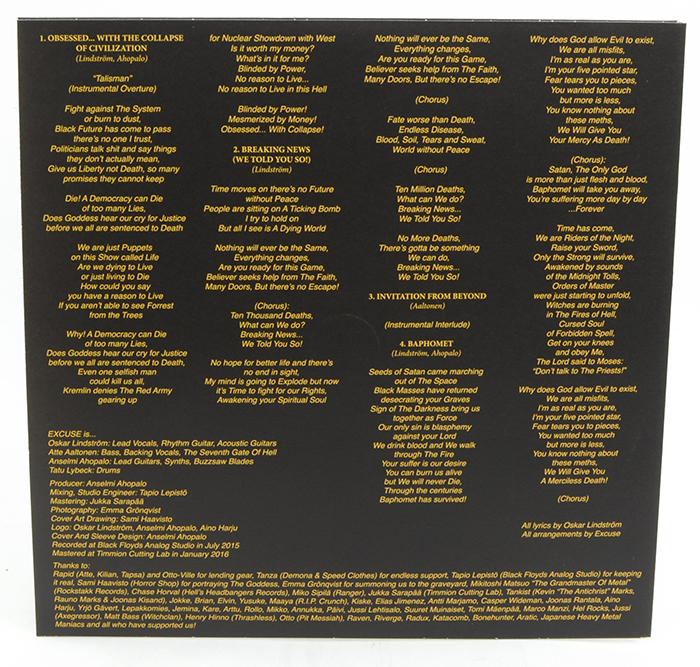 Comes with a lyrics insert. 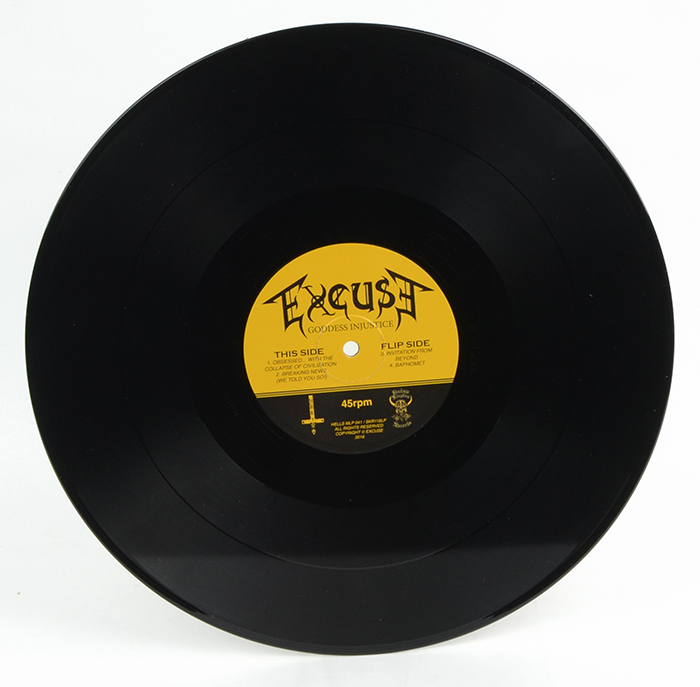 SHADOW KINGDOM RECORDS, in conjunction with HELLS HEADBANGERS, is proud to present one of Finland's hottest newcomers: EXCUSE and their brand-new Goddess Injustice EP. 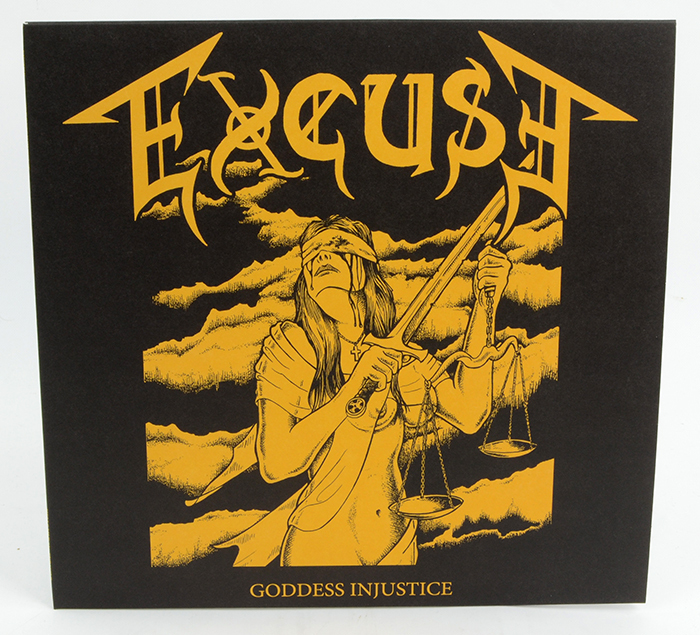 Set to be released on 12" vinyl, Goddess Injustice is EXCUSE's second EP to date after a debut demo in 2013. In a short amount of time, this fierce Finnish foursome have developed into a finely honed missile of speed metal glory. 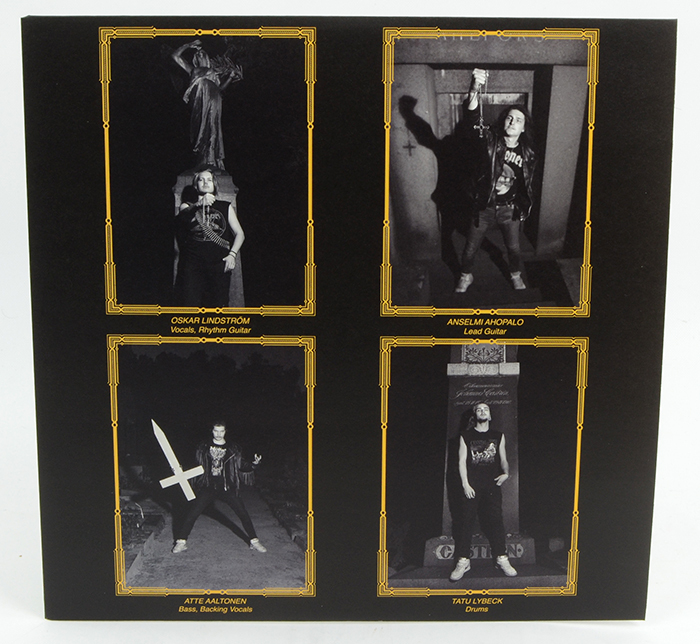 In many ways recalling the classic Canadian gods Sacrifice and Razor, EXCUSE take that evil 'n' sleazy surge of power to more darkly melodic lengths, but always never losing sight of true heavy metal feeling. And at four swift and sharp tracks, the EP gets in and gets out, doing maximum cranial damage. Goddess Injustice may be a cruel mistress, but there's no EXCUSE to not worship her!